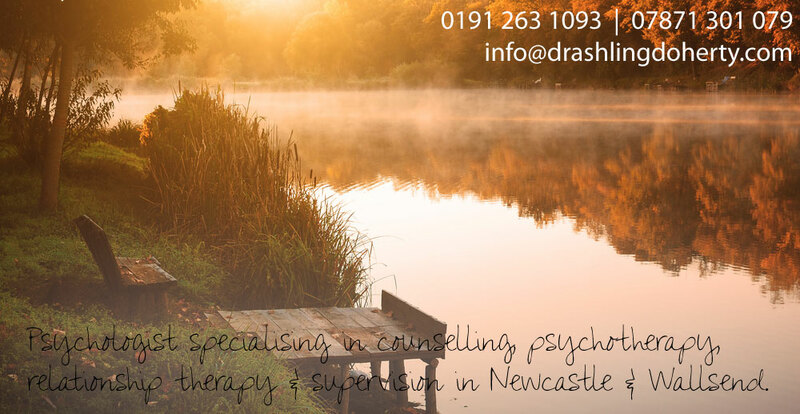 At my private Counselling clinics in Newcastle Upon Tyne and Wallsend a wide range of counselling services is offered and Psychotherapy is one of them. Psychotherapy; in particular psychodynamic emphasises that some psychological difficulty can be linked to past experiences, relationships and unresolved conflicts, in particular childhood. Psychotherapy aims to uncover how these previous experiences may contribute to how you behave, feel and relate to yourself and others within the current moment. The aim of psychotherapy is to enable you to gain a greater insight into your relational patterns, attachments and enhanced understanding of yourself. Psychotherapy is usually a longer term process however it can be short term to meet your needs. Your life history accounting for your childhood and relationships, thoughts, feelings, beliefs, conscious and unconscious processes will be explored. This can provide an enhanced understanding of yourself and identify the source of your difficulty. As a Psychodynamic trained Psychologist I have an interest in Object Relation Theory; ego, attachment and self psychology. “Nobody, as long as he moves about the chaotic currents of life, is without trouble”. Carl Jung.